What are the root causes of compliant behavior and the strategies to use at school? the student’s environment and related stress. In addition, this article includes such strategies as solicit the student’s input, use physical cues, know the student’s learning style, set clear limits and expectations, know those things you can control and those things you do not control, choose your battles carefully, and remember it is the student’s job to test limits. The second set of critical observations results from an examination of a student’s LD and AD/HD issues and their impact on compliance. Such issues include poor organization and time management skills, impulsivity, low self-esteem, sensitivity, and ineffective social skills. Oftentimes, these issues “mask” or camouflage as compliance or noncompliance. Other times, they have a tremendous effect on compliance. Reflect for just a second on the effect of poor organization skills on compliance. A student sets out to complete a task requested by a teacher and either lacks the organization skills to complete the task or forgets critical steps along the way. How many times have we judged a student as being non-compliant when they were really dealing with the results of poor organization skills or a “leaky” memory? Likewise, think about the way impulsivity “masks” as non-compliance. The impulsivity of the moment overrides the student’s true desire to be “rule-abiding.” And here lies the real problem – the more we let students experience the consequences for their unintended non-compliance, the more likely they are to become overly compliant or truly oppositional and defiant. Dr. Barkley asks us to consider the nature of teachers and care-givers as the second factor. In particular, we can reflect on three questions and their relation to a student’s compliance. How great is a teacher’s need for control? A “control freak” or “permissive” style of teaching affects a student’s level of compliance. What is a care-giver’s primary leadership style? Do they “lead from the front” or do they “provide encouragement from the sidelines?” How does each individual student respond to this leadership style and can leadership style be adapted to the needs of different personalities? What are a teacher’s management style and practices and how do they impact a student’s compliance? How effective is a teacher in management of the classroom and responding to the changing management needs as a child develops from infancy through adolescence? It is a lot to think about, but important if we want to truly understand the root of a student’s non-compliance or want to encourage active compliance. The third factor is the effectiveness of child management methods. Barkley contrasts three characteristics of student management techniques: effective versus ineffective, consistent versus inconsistent, and just versus indiscriminate. In light of these characteristics, three questions can be asked of student management strategies. Is the strategy working? If not, include your student in a search for a new strategy. Are you being consistent in the implementation of a strategy? If not, then you are probably doing more harm than good. Does the consequence “fit the crime?” If not, then include your student in developing a list of inappropriate behavior / consequence and appropriate behavior / consequence matches. Such “sentencing guidelines” – both positive and negative – provide benefits on a multitude of levels. The fourth factor Barkley asks us to consider is the effect of environment and stress events on compliance. Students with LD and AD/HD are incredibly affected by environment and stress – more so than the general population. Issues of distractibility, impulsivity, and a myriad of processing challenges contribute to this sensitivity. The “silver lining” in this cloud is that environments are fairly easy to manage, manipulate, or modify to meet individual needs. In the case of distractions, it is a matter of knowing which “flavor” of distraction influences a student’s attention and managing those distractions. The “short list” of distraction “flavors” includes auditory, visual, tactile, temperature, hunger, and emotional distractions. In the case of impulsivity, it is recognizing the primary “triggers” of impulsivity and techniques of redirection. In the case of processing challenges (visual, auditory, etc.) it is a matter of linking a strategy with the processing challenge. Two strategies are particularly effective in dealing with stress. The first is teaching relaxation skills to counter the stress and the second is helping students prepare for transitions so as to reduce the stress level. Transition strategies can be as elaborate as reviewing next year’s textbooks during the summer and walking the halls of a new school or as simple as using a sequence of 10-, 5-, and 2-minute time warnings as a student transitions from one activity to another. Solicit a student’s input when creating any strategy. Better to have them in the role of engineer rather than demolition expert. Use physical cues such as a touch or squeeze or a verbal cue such as a “code word” to help redirect a student. Choose your battles carefully – do not make everything non-negotiable. Know your student’s natural motivators including their primary learning style. 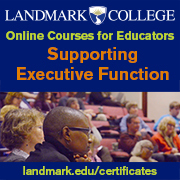 Are they a visual, auditory, kinesthetic, experiential, individual, or group learner? Set clear limits and expectations. Put them in writing and post them in a prominent location. Know those things you can control (seating, reinforcement, syllabus) and those things you do not control (freedom, personal choices, commitment, investment). Do not “back yourself into a corner” trying to control those things over which you have no control. Know WHEN to confront your students, HOW NOT to get “sucked in,” and HOW to disengage. Give your students “permission” to fail. Ask the resistant student for “permission” to coach. Never forget it is the student’s job to test limits. Never lose sight of the fact that the strong-willed student can change the world as a strong-willed adult. 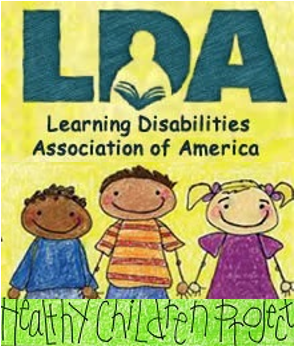 © 2010 Learning Disabilities Association of America (LDA). 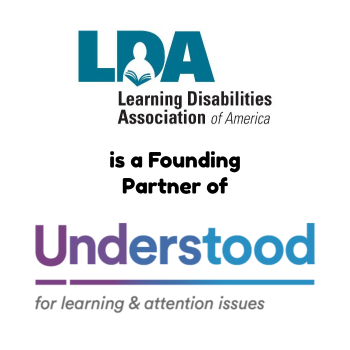 LDA encourages the distribution of this information. Please provide appropriate credit if portions are cited. Information may not be reprinted for the purpose of resale. even to challenging circumstances, instead of behaving negatively. think about your actions. This enables you to think more clearly, and to discover ways to answer in more constructive ways.